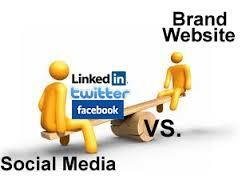 Social media vs. your brand’s website: which will help you reach your goals? Should marketers focus their efforts into driving traffic to the company website or to its social media platform? The answer eludes even the savviest marketers. After all, in today’s world a company doesn’t exist unless it has a website. 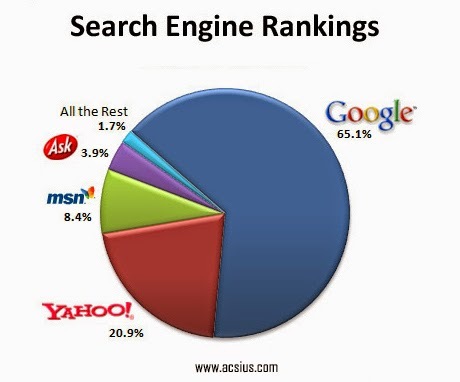 The first place people turn when they’re on the hunt for a product or a service is a search engine. If your website isn’t there, you’ll lose customers to the companies that do make their presence known. But other marketing experts point out that websites aren’t the end-all-be-all that they once were. 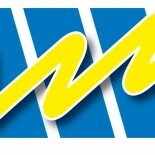 Why work so hard to bring potential customers to a static website when social media has taken over the online world? 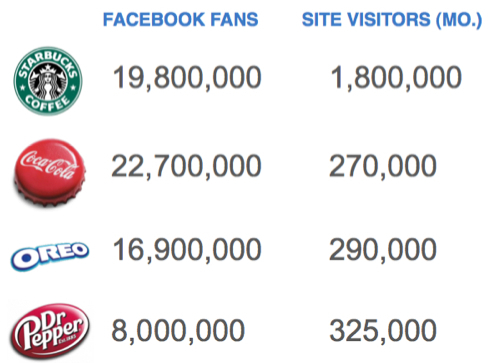 Facebook alone has 1.23 billion monthly active users, 874 million mobile users, and 728 million daily users worldwide. Twitter and Instagram are close behind, with 271 million and 200 million monthly active users respectively. YouTube, Reddit, and Tumblr are close on their heels. If you can learn how to tap into the immense potential for exposure that social media provides, you won’t even need to bother with a website, much less devote an inordinate amount of time to trying to get people to go visit it. It’s not as simple as that. In an ideal world, marketers have unlimited access to the time, energy, and resources it takes to effectively manage both website and social media outreach. In the real world, budget, manpower, and the number of hours in a day limit those resources. We have to discern which available marketing channels work best for our brands and why, and put the majority of our efforts there. In the past when people wanted to find something, they had to search through the yellow pages and spend valuable time making calls. Now, you “google” it. One of the most important reasons to spend your energy creating an audience for your website is that a website helps you built a database of users’ names and contact info. Think about it: someone who goes to your website does so intentionally—you have something specific they need or want. One of the best things of all about having your website as your main communication tool is that YOU control your company’s messaging, unlike social media sites that can be quickly kidnapped by wayward users. Who can forget the epic fail or the McDonald’s #McDstories debacle? Twitter users absconded with McDonald’s attempt to create warm fuzzies with the #McDstories hashtag. In the promotion, users were encouraged to share their good memories of the fast food behemoth. Instead, Twitter users used the hashtag #McDstories to share such witticisms as “So PETA and McDonalds got into it today. Didn’t know there was real meat at McDonalds #McDstories” and “#McDstories I lose 50 lbs. in 6 mos. After I quit eating at McDonalds.” The New York Police Department, in a misguided attempt to “friendly-up” their image, made the same mistake with their #myNYPD. With a website, those sorts of challenges aren’t even on the radar. 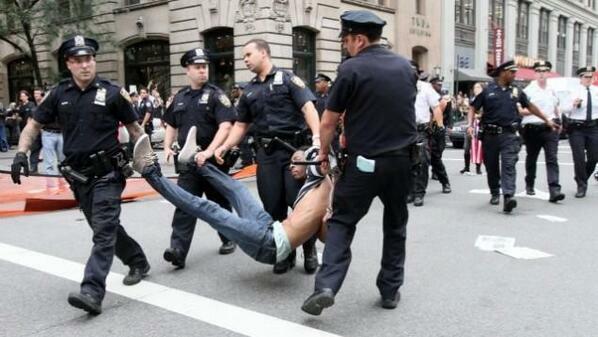 The NYPD asked Twitter users to share photos of themselves and NYPD officers using the hashtag #myNYPD. Begs the question: what did they think would happen? But one of the negative aspects about websites is that they are static and don’t actively engage users in real time like a social media platform does. Website users are passive. They are reading a page, they are learning about products, they are scanning the company blog, but they are not interacting with the brand in an active way. Is SEO useful? 1,500 search marketers were surveyed about the effectiveness of their top SEO tactics. More than half of CMOs report that content creation is a very effective tactic to improve their SEO rankings. Keyword research was close behind, with 43% finding this strategy very effective. Research also shows that website activity is trending slightly downward. This may be caused by a number of factors, from changes to Google’s algorithms (the September 2013 launch of Google’s Panda caused an immediate loss of web traffic to many sites). It could also be due to marketers who are not managing the websites well. Websites need frequent attention. They need to be constantly updated. Keywords need to be continually re-evaluated to ensure that SEO is fully optimized. With social media sites, this isn’t an issue because the users drive the interaction—and as long as the company is engaged with its social media users, the site stays relevant. 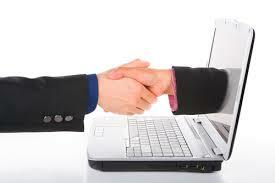 Social networking websites encourage individuals to interact with one another and build relationships. In the universe of marketing and branding, building relationships is absolutely essential. This personal interaction instills a feeling of loyalty into customers because it feels more authentic than traditional outbound advertising like television ads. Social media allows anyone and everyone to express and share an opinion or an idea about a company or a product. They become a part of the marketing team—almost like good old-fashioned “word of mouth” advertising. Here’s something to consider, too: According to Experian Marketing Services, in the week ending October 18, Facebook users worldwide jumped online 2,521,997,505 times—you read that right, over 2 billion times! According to the data, 60.46% of the time, users shared something on their site. The second most popular social media site, YouTube, garnered 732,177,589 visits in the same week and users shared 18.12% of content they viewed. That’s awesome potential for “word-of-mouth” advertising! Plus, sites like Facebook give you the ability to integrate your other social media activities by creating tabs for your Twitter profile, YouTube channel, and others. On YouTube, you can collect all your company’s videos and create your own YouTube channel. If you’re in need of stats to track the effectiveness of your social media marketing outreach, Facebook, LinkedIn, Twitter, and YouTube all aggregate your audience visits and provide valuable information about engagement and page views that allow you to tweak your marketing plan as needed. Ultimately, as a marketer your number one priority is to build awareness, sales, and allegiance for your brands by developing satisfying relationships with consumers that benefit both the consumer and the organization. Social media is the perfect tool for that. Websites are a less interactive way to create relationships, but they are still important, as long as you devote the time to make sure your site is useful, updated, and responsive. If you use social media to create and enhance customer relationships, its essential that you monitor your social media sites and respond in a timely manner, all while working to ensure the message is consistent and in your control. We would like to know your thoughts. If you have an opinion or insight, please share in the comments section below. When I’m looking for a specific product, I will always search their website first. It has all the info I need and provides me with direction to locating a local distributor. Facebook can sometimes be more social than information to me. A few days ago I noticed a very interesting development in using Facebook on my mobile device. When I clicked on an article that was linked to a site, it opens the source website in a new window. Until now, I was kept within Facebook as I viewed the source website. Is it just me or has anyone else noticed this? I hadn’t really noticed this on FB, but it know it is a frequent occurrence on mobile Yahoo and other sites. I typically don’t click on things within FB, but I will next time I’m on just to see if I experience the same thing you did. The answer I am now giving clients concerning database building is that all communications on all channels should be with the overall goal of getting the customer to our website and getting registered into our proprietary database. As demonstrated right here on this blog, the social interaction from our site has become every bit as “social” and interactive and the content much more rich and branded than anything Facebook can deliver. Social media is a very good way to get in the game, but we are playing on their field. We need to bring loyal users together on our playing field where we have control. Very well stated, Jeff! I love your analogy of playing on our own field. FB and other social media platforms are fantastic tools to attract attention, but once we’ve got them for that 1/2 second, we need to draw them in with insightful, useful information that helps solve a problem. Great insights in this article. My lingering concern with all of the social media channels, particularly Facebook, is the lack of ownership of the data. We are asking our clients to invest considerable time and resources to building a large database of loyal followers, but the ownership and control of the database is firmly in the hands of the hosting site. They can literally do anything they want with that data set and our clients have absolutely no control or say in the matter. They can also limit access to the data set and indeed I believe that Facebook already does this unless the client is willing to pay for full access. They believe, and I think they are right, that the entire database of users belongs to them and they can do anything they please with it. Am I right to be concerned about this? What do you all think. Hi Jeff! You are spot on. The question now becomes, as marketers, how do we best serve our clients given this parameter? That’s a good topic for a future blog post. Ultimately, FB (and other platforms) are businesses and exist for the express purpose of making money for their shareholders. They WILL use a company’s data in one way or another…as users, we need to keep this fact aways in the forefront of our minds when planning our social media outreach. Thanks Kim. Also interesting to note that when we are collecting data through a website, we are at pains to make sure the registered users are assured that their data will not be shared or used by other parties. Facebook (and all other social sites) makes no such assurances. We all need to be keenly aware that anything and everything we share for ourselves or for our clients, and all the friends and followers we gather are no longer our protected property. At least as far as that space is concerned. This entry was posted on October 22, 2014 by Kim Haman in Uncategorized and tagged Facebook, Social Media, Social networking, website vs social media, Word of Mouth.